1. 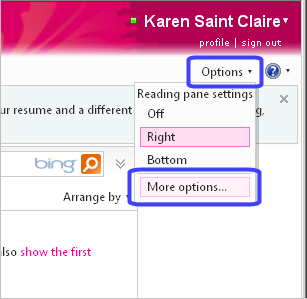 Click OPTIONS in the upper right corner of Hotmail’s inbox, then pull down to MORE OPTIONS. 2. 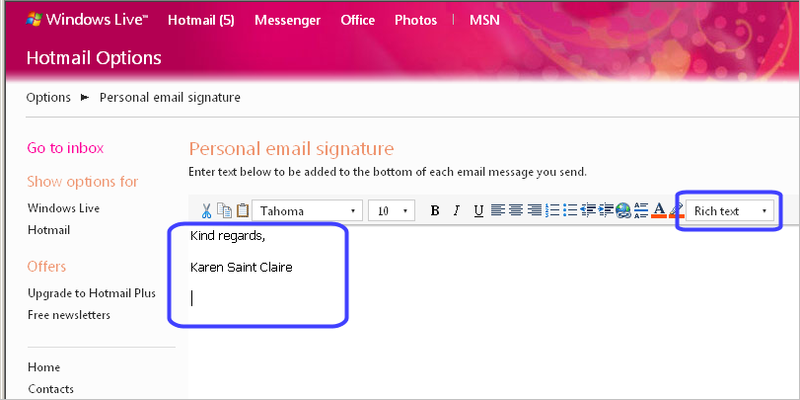 Under the “Writing Email” section, click PERSONAL EMAIL SIGNATURES. 3. Make sure you have “Rich Text” selected for your signature and then type any closing block you want to use, like “Sincerely,”and then your name. Use the ENTER key to create line breaks. 4. 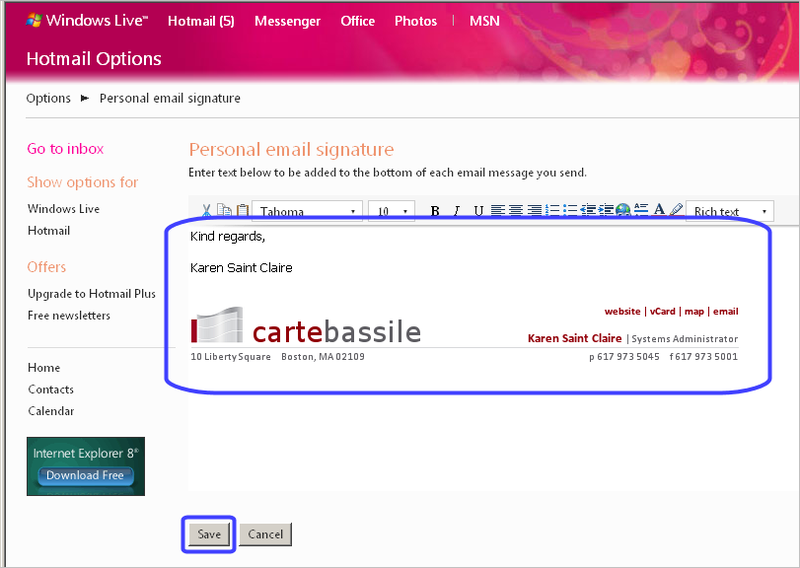 Place your cursor beneath any text you’ve typed (by using the ENTER key) and PASTE in the email signature that you have previously copied to your computer’s clipboard. 5. Click SAVE at the bottom of the screen. 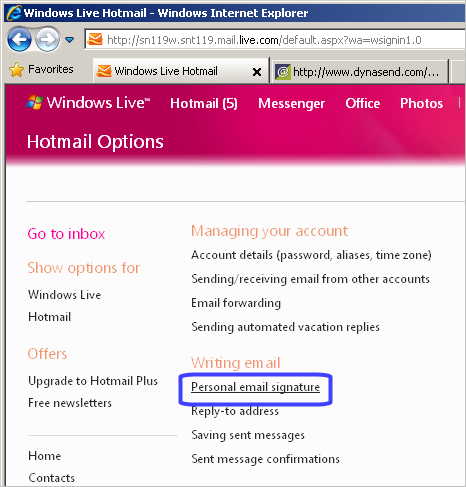 You can now exit the Hotmail Options screen and return to your inbox - you should be all set.